Starting 30 April 2018, Victorian drivers caught drink and drug driving will face tougher penalties including automatic loss of licence. Drivers caught with a BAC of .05 or over will need to pay a fine, automatically lose their driver’s licence and will be required to complete a compulsory drink driver behaviour change program. Once re-licensed, they will also be required to have an alcohol interlock device installed in any vehicle operated by the driver for a minimum of six months. This also applies to commercial drivers who commit their first drink driving offence with a BAC under .05. As before, learners, P1, P2, restricted motorcycle riders and professional drivers must drive with a BAC of 0.0. Drivers caught with drugs in their system will lose their licence for a minimum of six months, which is an increase from the current penalty of three months. Drug drivers will also need to complete a mandatory drug driver program before they can get their licence returned. These will start taking into effect for any drink or drug driving offence on or after 30 April 2018. Offenders must complete the program before they can get re-licensed. The programs will vary depending on the offence but are approximately 12 hours long and sessions are held over separate days. This new program replaces the existing education program and includes alcohol screening and assessment, motivational and behaviour change techniques to address the underlying causes of drink and/or drug driving. It can also provide referrals to specialist treatment services for people with a serious alcohol and/or drug problem. For those whose offence was before 30 April 2018, they will need to get their licence back before April 2019. Otherwise, they will need to complete the program. Tackling the wider issue of drink driving with be better assessments and screening for alcohol problems, and more effective behaviour change programs. Promoting the benefits of separating drinking from driving to all drivers, like planning ahead how to get home from a night out. The most obvious thing drivers should do to avoid copping such tough penalties is to not drive under the influence of drugs or alcohol. At times, of course, this may be unavoidable for example you might be driving the morning after drinking and be unsure of your BAC the next day. It still surprises many people to realise this, but the morning after a night of heavy drinking, you could still be well over the drink driving limit of .05. Keep in mind that there are many factors affecting BAC, and no amount of counting hours and standard drinks will be able to tell you your BAC at a given point in time. 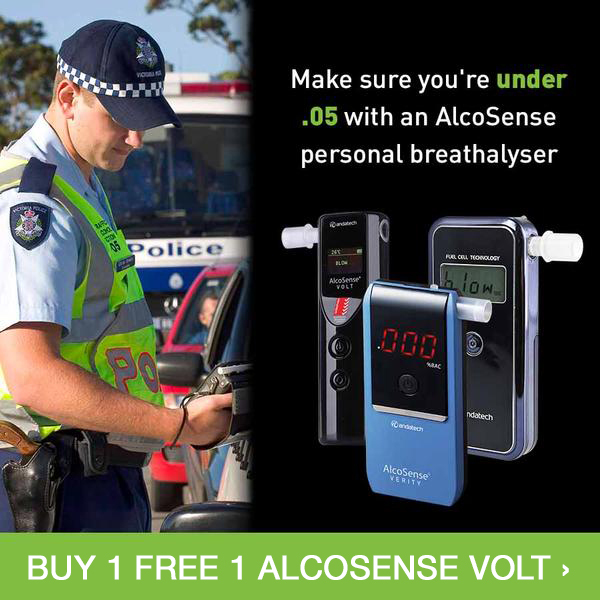 There are several ways to find out if you’re under .05, but the surest way is by using a tested tool such as a breathalyser. Do you really want to risk losing your license for 6 months AND going for a course because you decided to drive without checking? As for drugs and driving – they should never mix. If you have taken drugs a few days prior and are not sure whether you would test positive for a drug test, then it will be best to test yourself with a home drug testing kitor just not drive at all. Depending on the amount and type of drug consumed, as well as on different drug detection times, you could test positive for a drug you consumed days or even several weeks prior.